Lt. D.G.A. Taylor, Officer in Charge, No. 3 Section, Royal Engineers. 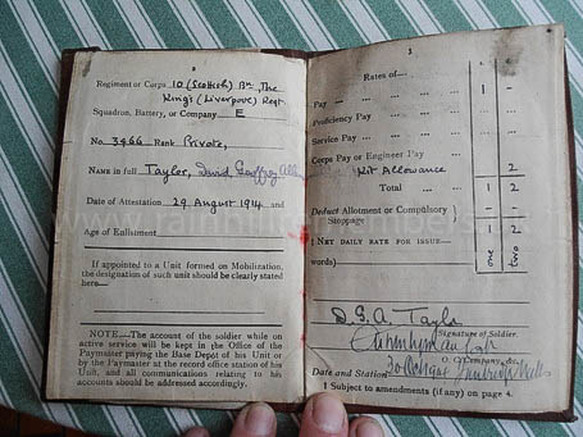 “Geoff” Taylor was born in 1894 and after attending Liverpool College qualified as an engineer. Until 1914, the Taylor family lived at Oaklands, St James Road. As a 17 year old school boy Geoff formed the first scout troop in Rainhill. The scouts used an out-building at Oaklands as their HQ. During the war Oaklands was used as a V.A.D. Hospital and the Taylor family lived in Sutton. 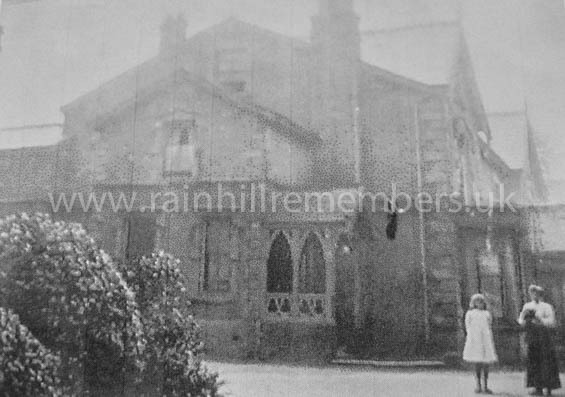 Later the family lived at Fair View East, Mill Lane. As soon as war was declared in 1914 Geoffrey Taylor joined the ranks of the Liverpool Scottish Regiment as Private 3466. Geoff was part of the first expeditionary force to France in November 1914 and first saw action at the battle of Hooge in Belgium in June 1915. 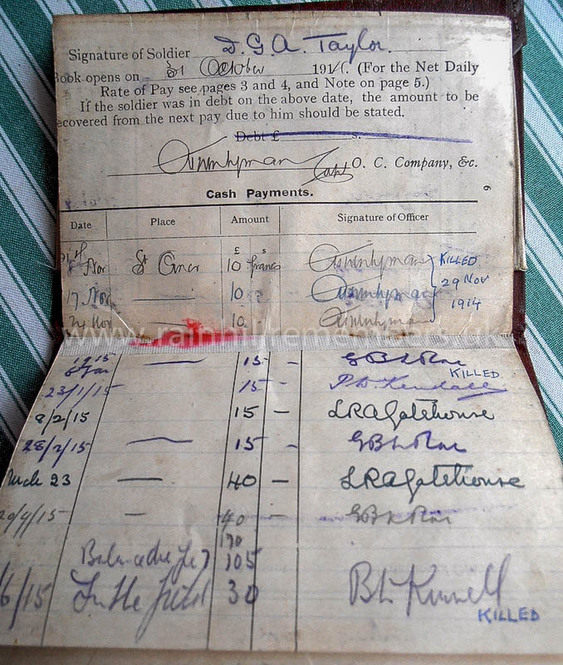 In August 1914 Geoff accepted a commission in the Royal Engineers and was sent for training with 421 Field Company. Geoff was the only son with five sisters. His sister Mary was nursing in Colwyn Bay in 1916. In February 1917, he was sent to France with 57th Division which was part of the unit which mined the Messines Ridge in 1June 1917. The following month he was gassed, spending many months in hospital before being discharged in 1919. Major Taylor, as he became, returned to the Military Engineers in 1926 and continued with his military service during the Second World War. 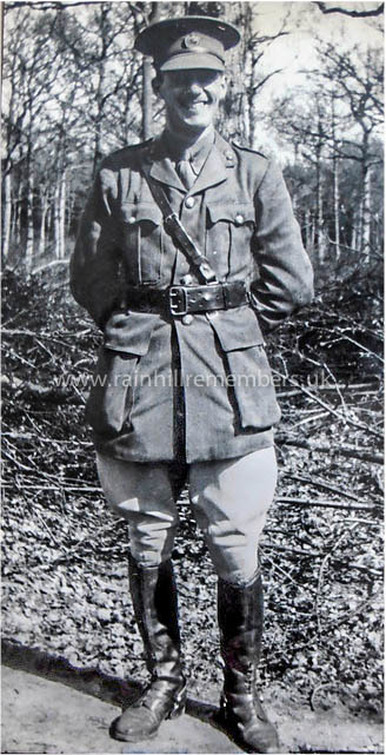 He was promoted to Lt Colonel and demobilised in 1945. He lived in Rainhill with his family for many years and was well respected in the community. He was instrumental in setting up the Ex-Services' Club in Rainhill and every November he organised the local Poppy Appeal. Pay Book. Notice that by the names of some soldiers it reads "killed".